Branch Out World is a company that we were gifted a study from several years ago. So when the chance to review their Paddington Bear – a literature based unit study in their Picture Book Explorers series – came available, I was very happy to volunteer. Miss J may be in 4th grade now but we never out grow picture books, especially of beloved characters such as Paddington Bear. When we can connect that book to learning across several disciplines, it becomes an even more treasured experience. Branch Out World makes this possible through the studies they create. Branch Out World is a company that is run by a home educating family. Their studies grew out of their own experiences in teaching and their love of books. Each of their literature based studies has a connection to the UK – author, setting or illustrator – as that is where the company is based. It is fun seeing those connections. They offer the Picture Book Explorer series but they have additional products in their online catalog. From the literature studies to lapbooks, they have much to offer. We received a PDF download of the Paddington study and got a copy of the book from the library. I thought we had the book but when it came time to pull it off the shelf, we had a different one. The one from the library worked just fine. There are multiple activities in each of the sections and it is very easy to pick and choose what works for your learners. This study makes it easy to work with multiple levels of learners, as well. Adaptations occur easily. For instance, we were working through the part on immigration, doing the work and talking about what one might take with them. Miss J took a look at me and asked if we could make a suitcase for Paddington and keep all the pieces in it instead of making a traditional lapbook with folders. Worked for me so we detoured (or rabbit trailed) and created a bright red suitcase, just like Paddington carried with him to London. Some of our papers had to fold to go into the suitcase but it is now a nice compact record of this study, keeping all of the papers and booklets in one place. After that detour, we popped right back into what we had just finished talking about and continued on. Each day, we did several activities but we never completed an entire day’s work in a single day. We were doing other things and this was a large chunk of time. However, if this was the entirety or majority of the school work we were doing, I would have completed a full set of activities. Again, though, there is no need to complete every single activity, nor will ever single activity fit every child. So pick and choose and make it fit your learner’s needs. I really enjoy this series of literature studies. As I mentioned before, we have done the study on I Took The Moon For A Walk. It was a fun read and study and I was very pleased with it. These are great for learners from very early elementary up through middle school, though you might need to add some difficulty or research to it for the upper end of that. It would be easy though – the middle school student could do the research for steam, for example, and then make a presentation to younger learners. Paddington Bear was a fun study and we were able to make so many connections – immigrants and stories we had read, London and maps we had done before, bears and comparing with Smokey Bear, and lots more. It is easy to forget how adaptable these types of units are but I was reminded again how much I enjoy doing them. Other families with learners of different ages also reviewed Paddington Bear. 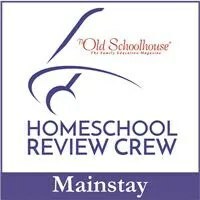 Visit the Homeschool Review Crew to read about their experiences. Over the past few weeks, we have spent some time working through some unit studies on holidays. Silverdale Press LLC has a unique set of unit studies available – White House Holidays Unit Studies. These are a set of studies on various holidays and their connections to the White House, particularly when the President set them aside as national holidays. Each holiday unit delves into the history of the holiday, including important background events or occurrances that influenced the creation of the holiday. The history, the political settings and background, the presidential influences, and traditions all play an important role in how each of the national holidays came to be. Within each holiday, the White House and those in it played an important role. One of the richest parts of these unit studies is the inclusion of primary sources. From the inclusion of speeches to photographs to letters, these primary sources are an important part of understanding history. Their inclusion here really strengthens the understanding of the background and history of these holidays that are celebrated and remembered nation-wide. Each study has three to five lessons. Each lesson includes an overview, a materials list, learning outcomes, and a lesson plan. An answer key is also provided in a separate document. With each lesson there is a number of activities to accompany the lesson. Some unit studies have separate lessons for K-6 and 7-12 while other studies have the same lesson for all of them with different activities for the two levels. We started with Veterans Day and worked with a K-6 student and a 7-12 student. This is one of the studies that has different lessons for the two different age groups. That actually made it a bit difficult to do these lesson together because the readings for the older group were much more detailed and included much more information. So, I ended up working with Miss J on the K-6 lessons and Miss E worked on the 7-12 lessons by herself. There are 3 lessons in this study and it begins back at Armistice Day (November 11, 1918) and World War I. The history of that day, how the world responded, and what the aftermath of WWI was like were all a part of this discussion. The poem in Flanders Field was discussed and the symbolism of the poppy. The lessons talked about the effects on the economy of entering the Great War. We learn more about President Wilson and future President Hoover. The taxes and loans system was also a part of the discussion. We also covered President Eisenhower’s childhood, service, and presidency while moving through WWII and into the Korean War history. President Eisenhower changed Armistice Day to Veterans Day in 1954 so that all veterans of military wars and service would be honored, not just those from WWI. We did several activities related to these lessons. We created poppies (K-6), talked about the poem In Flanders Field (included in the study for K-6)), and completed a crossword puzzle (7-12). We talked about our own military history and family and friends we know who have served in the US military. Miss J created food conservation posters while Miss E studied the 14 points from Wilson’s speech on lasting peace and then wrote her own 14 points (we ended up with 12, I think) in response to Wilson’s Fourteen Point Speech (a primary source included in the study). The discussion about the 14 points was really quite interesting and thought provoking. For our final activities, we listened to the girls’ dad play Taps on his trumpet and talked about the significance of that. We looked at how to display and store the American flag properly. We looked up online the various monuments to veterans in Washington, D.C., and talked about some of the ones we know of closer to us, as well. This was a fun and interesting study to cover. It tied in really well with the study of WWII that Miss J did not too long ago and the timeline she has for that was very helpful in studying this holiday. The presidents that were influential in the history of this holiday were interesting to learn about and seeing history come together is fascinating. The Labor Day unit study includes three lessons. There are separate lessons for the two age groups, allowing for independent study or group study within age groups. The Labor Day study delves into child and immigrant labor and the poor conditions that were experienced by workers 100 years ago. From tenements to factor work, the life was hard. Studying photographs of the time helped us understand a bit more about children working and how families struggled to survive. Eleanor Roosevelt was one of the people that tried to make things better. This study covers her life and work for the children and immigrants. Looking back on others who tried to bring light to the conditions of workers, we saw folks back in the 1880s organizing “labor day” parades to bring some hope and light to the workers. The lessons also talk about unions and strikes, including the Pullman strike and President Cleveland’s response to it. A discussion of economics and how a strike can affect much more than just the single company was part of the lesson for us. We analyzed photographs as primary source documents and discussed what it showed about child labor and tenement conditions. We looked up the life of Eleanor Roosevelt and read an article she wrote. Miss J studied the picture of the first Labor Day parade and then created her own placards to carry in a parade. She and her sisters then had their own Labor Day parade. We visited the Library of Congress and looked up images related to Labor Day. We read parts of speeches from presidents related to labor. This was an interesting study to do as it tied in with some of the stories and movies the girls have seen regarding child labor and working conditions in factories. It was a good discussion about why things needed to change and to see how the change came about. The MLK, Jr. study has five lessons. The materials for these lessons are the same for both grade levels, with the differentiation coming in the activities. The written materials were a big long for the K-6 level in my opinion, so I ended up not have Miss J complete very much of this one. We read together some of the relevant bits of the text and we watched the videos that were relevant to the lesson. She worked with Miss E on the timeline and map some. Miss E did most of this study on her own. She read each lesson and completed the activities for them. I always pre-read the lesson and knew what discussions we would need to have, so we did take time to sit down together for those discussions. The study covers the history of the Civil Rights Movement and Martin Luther King, Jr.’s own personal history. From the bus boycotts to the Ruby Bridges case to the relevant court rulings, from President Eisenhower to President Kennedy to President Obama, there is a huge amount of information in this unit. Most of it is written text or video links, with inclusion of court verdicts and speeches as primary source documents. Many of the activities in this study are responses to information and call for answering questions, particularly for the older students. We did these as interactive discussions because that really opens up the discussion for understanding rather than just a response to a question with a text to look back on for an answer. This study, as written, is really too much for the K-3 or K-4 levels. There is just too much information. Had we spread it out over three or four weeks, it might have worked fine but there is just so much text and the information is very difficult to process for that age. They are so trusting and don’t understand much of prejudice and treating others badly. That makes this study, as written, something that just doesn’t fit well. There are three other studies that we have not used yet. The Thanksgiving study has five lessons. It begins at the search for freedom in the New World and includes primary source documents of two men who experienced life in the New World in the 1620 at Plymouth Plantation. The study looks at the history of harvest festivals and moves all the way through having students look up the current president’s Thanksgiving proclamation. Many presidents have had a prominent role in Thanksgiving over the years and those roles are covered in this study. There are a number of activities to go along with this unit and quite a bit of information. I can see this one easily taking at least a couple of weeks to work through with younger students. The text is the same for both age levels but there are different activities, including more in depth readings and analysis of primary source documents for the older group. The Christmas study has four lessons. It covers Mrs. Kennedy and The Nutcracker tradition, Mrs. Ford and gingerbread houses, and Mrs. Bush with her story books, to name just a few things covered. From baking to reading presidential Christmas addresses, there are quite a few activities to choose from for each of the lessons. The text is the same for both age levels with differentiated activities. The activities will be a lot of fun and for many families will co-ordinate with their own holiday traditions. Once again, there is quite a bit of text and when you add the activities that include a written text, there is a lot here for younger students. It would be best to break the text up over a few days for each lesson, making the unit take a few weeks to work through. After adding in the activities, this unit could easily occupy a month. Valentines Day is one that doesn’t really interest me much. I have only glanced at the history of it here. The overview in this study includes a page of possible credits for high schoolers, something I didn’t see in any of the other studies. There are many love letters between presidents and their loved ones included in this unit study. These are fine studies that really address the history of holidays, something we don’t see a lot. I am looking forward to seeing any additional holidays that are to be added in the future, as they are planning more. Please visit the Homeschool Review Crew to read what other families thought of the White House Holidays Unit Studies. Some of the families worked with a writing program instead that is titled Persuasive Writing & Classical Rhetoric: Practicing the Habits of Great Writers, aimed at ages 14-18. Both programs are from Silverdale Press LLC. Click the banner below to read reviews. We are thrilled each time we are selected to review any of the YWAM Publishing titles, whether Christian Heroes: Then & Now or Heroes of History . This time around we were given the title Christian Heroes- Amy Carmichael: Rescuer of Precious Gems and its corresponding study guide. These titles are loved. When a new titles comes into our home, or appears on the shelf at the library, it immediately ends up in a bedroom being read. I don’t even see the book until the oldest giggly girls has finished it. This book on Amy Carmichael was no different. YWAM Publishing is a company that is committed to publishing materials that encourage Christians to make a difference in this world. The focus of their materials is prayer, mercy ministry, homeschooling, evangelism, and discipleship. When you purchase from YWAM, you are also sending money to help the needy around the world as a portion of every dollar spent is directed towards YWAM’s ministries. This is the story of Amy’s life. From a young age, Amy knew God was calling her to a life of serving him. She began serving him simply, by helping others carry hard loads and listening to his word. She then began serving the shawlies, those who worked harder than most to provide for their families and we looked down upon by many Christians at the time. In helping the shawlies, Amy began to face some of the backlash that she would face all of her life – the Christians who were supposed to love everyone and help them cause problems for Amy because they did not want those “dirty” people in their buildings for worship. Amy trusted God and he got her through a lot – buildings that needed built, ill health, and many, many other things. Amy knew that God was calling her to go to a foreign mission field and she just knew that it was in Asia. Even after being turned down by mission groups situated there, Amy decided to just get there and leave it to God to figure out where she would be and who she would work with. God did. And Amy spent time serving others in Japan, until she got ill. Again. She returned to the UK to recover. After a time, Amy ended up in India. It turned out to be the place God had been preparing her for. Amy saw the great need in India and began her work there with diligence. She took in those whose family abandoned or disowned them, which was not unusual for Indians who chose to become Christians, if they were not killed by their families. Amy continued to teach and trust. Through her trust in God, many came to her to be loved and to learn of God. After going to India, Amy never left. She served those in India until she died. Amy became Amma (mother) to hundreds in India, rescuing temple children from a life of horror or loving those who were unloved by their families. The YWAM biographies make fantastic unit studies. The curriculum guide that you can purchase for download to go along with book features a format that gives plenty of suggestion for you to pick and choose those parts and activities that benefit your students. I did not print the entire guide; rather, I printed those pages that we were going to use for our study. We chose to use Key Bible Verses, Chapter Questions, Student Explorations, and Social Studies. There are also sections on Display Corner, Community Links, Related Themes to Explore, and Culminating Event. There are appendixes for books and resources and answers to chapter questions. For Key Bible Verses, the girls each chose at least one verse from those that were important to Amy Carmichael and illustrated it. I also asked them to memorize it. Chapter Questions was a section we actually did out loud. We had a book conversation one day and used these questions to guide the discussion. These can be used a variety of ways and the answers are in one of the appendices. For Student Explorations, there are a large number of possible activities for the student to choose from. There is no way a student could tackle all of these hands-on projects. The options include essays, creative writing, charts, graphs, audio or visual projects, arts and crafts projects, or language examples. Miss E chose to illustrate a couple of the language examples and also chose to work on some needle work. Miss L chose to make a birdbath out of materials we had in the yard. Miss J looked up information on some of the jewels and precious gems that Amy named her children after. We also visited a gem show and looked at some of the gems from the book. In tackling the social studies section, we used the printouts that came with the study guide, printing out a sheet to fill out on India and three maps. The girls each researched information on India and completed that sheet. They also used an atlas and online searches, plus a map in the book, to mark the maps with places that were important in the story of Amy Carmichael. It is good to know where places are in the world and, since we had studied India last November, it was a good way for us to relate the story to places we had talked about during that study. We chose not to do a Display Corner and the Community Links since we had done that last November with our India study. The Display Corner is just that – a place to put a variety of items that relate to India and the story. Community Links is a section that encourages you to find places and people within your community that might have something to do with your study, in this case it might be an Indian restaurant or a religious group to visit. Related Themes to explore touches on other ideas and topics related to the story and gives a few resources for that. The final section we did not use, again because we had done something like this back in November, is to create a big final event celebrating all that was learned. The curriculum guides to go along with these books do a great job of broadening the horizons of the students, pulling in ideas to help the reader better relate to all that is happening in the story. These unit study/study guides can be as in depth as you desire for them to be but I would definitely suggestion using them, as they open up the discussion and ideas. Miss J (age 9) – It was really fun and it kind of hung me when we couldn’t read another chapter. I learned a lot about Amy Carmichael. She was a very nice woman and she took care of many children, about 500. I think kids ages 5 and up would like this book. Miss L (age 11) – I think that one of the reasons I enjoyed reading about Amy Carmichael’s life is because she trusted God so much in everything she did. That is a really admirable quality. It also lead to many unique situations in her life that don’t happen to other missionaries or in other Christian’s lives. Most of the time it is easy to forget how it would be if we did everything for the faith and how different that lifestyle would than what most of use are actually living. I liked reading about her because she always did her best no matter what the situation was and recognized that she needed to be doing all she could all the time. I think this make her really interesting to read about and it put her in a lot of situations that other people would not be willing to enter. You see multiple examples of Amy’s willingness to do whatever it takes, even if it makes her different than everyone else. I like how the book covered a lot of things in her life that might seem insignificant or just straight out different from everyone else but she didn’t care how small it was. One thing I like about these books is that they tell the story to inspire you and I think Amy was a really good role model. Once you read the book about here, you can’t really imagine what the series would have been like without her. Miss E (age 14) – I really liked how Amy did not give up. I really like reading and learning about other cultures and Japan and India are some of my favorites. I like that the biography is written more from Amy’s point of view. It is more like a story so it is easier for me to read and understand. I like all biographies but it is easier to read when it is written like a story. My own – I really enjoy reading the YWAM biographies on Christian Heroes. They put before the girls quality role models and people who trusted God to direct their lives and their paths. They are interesting and exciting, keeping the girls’ interest and spurring them on to read and understand more about the world that is much bigger than what we know. YWAM is coming out with two new biographies shortly: Benjamin Rush (Heroes of History) and John Newton (Christian Heroes). We have reviewed YWAM titles in the past, including Gladys Aylward, Clara Barton, and C.S. Lewis. We also have a large number of these biographies on our shelf. We definitely recommend them! I am so thrilled to share this new review with you guys! Creation Illustrated is a new company to me that I have just fallen in love with. They have a beautiful quarterly magazine and in-depth unit studies that correspond to the magazines. 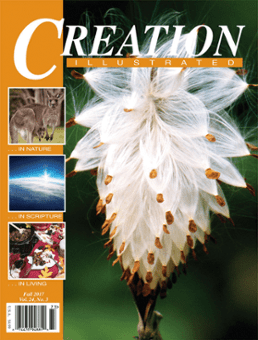 Creation Illustrated has been around since 1993 and has a mission to share biblical truth through their work. The company is dedicated to the eternal impact that sharing this truth has. They also want to share character-building lessons through the blessings we have with God’s creation. These are simple, yet impactful, ideas that will touch any who choose to listen and hear. Creation Illustrated is edited and published by Tom and Jennifer Ish, a Christian couple. They are a family who chose homeschooling for the education of their daughter. They understand what many families are looking for in unit studies and science curriculum. You can read much more about their lives and their mission on the Creation Illustrated website. 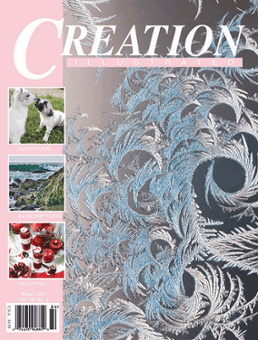 The Creation Illustrated magazine is stunning and gorgeous. I thoroughly enjoyed spending time reading these magazines and since I like print copies of magazines better than digital ones, I am ordering a subscription. The photography is just beautiful and a joy to look at. More than that, though, articles that have a biblical base and bring creation into focus on God are what I enjoy reading and having around for my girls to read. The articles are well-written and interesting. This is a magazine I would be happy to have around all the time. The unit studies that are available are interesting and quite different than other studies we have used. Snow Unit Study and Pine Trees are the two we have been looking at and using recently. Well, we have completed Pine Trees and hope to work fully with the snow study soon. These correspond to the Winter ’18 Digital Edition and Fall ’17 Digital Edition of the Creation Illustrated magazines. When you purchase the unit study, there is a link to the digital edition of the magazine on the resources page. We took last week to use the Pine Trees unit study. It worked perfectly for us as we needed something different for school as we prepared for a leadership convention. We spent about an hour a day with the unit study and completed it in about three days. The time varies a bit from child to child. My 13 year old and my 11 year old were able to do this independently except for the math page and a tad bit of the vocabulary. My 9 year old needed assistance with most of the study. After reading the article, we opened up the pages for the unit study which I had printed for each of the girls. The unit study consisted of a page with resource links, vocabulary, spelling, a Bible study, a geography study with mapping exercise, identification of three types of trees, scientific information activities, comprehension questions, a math page, an art/drawing activity, a creative writing exercise, and a word search. There is also an answer key. The resource links are for the magazine, articles, and videos that will help the study complete the study. I actually missed these when I printed the study because I was so excited to get to the pages and we worked harder than we had to on some parts of the study that first day. That’s okay – we got internet search practice in! While the girls were not thrilled with having to do a unit study during this particular week, I did catch from them that it was a pleasant one to do. They seemed to enjoy it pretty well and I know they learned a lot. I learned a lot, too, and I grew up around pine trees with a forester dad. I liked that the more difficult parts – the classification of the tree with Latin names, for example – were an easier activity, such as matching. The vocabulary was a challenging activity because the words were difficult. I did have to help all three girls with this, even with an electronic dictionary at hand. 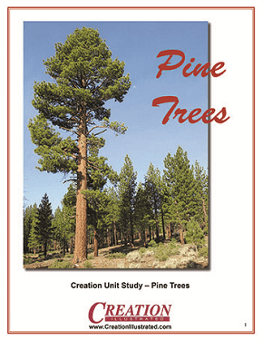 This is a great study that really helped us grasp a lot about the physical characteristics of pine trees but I really liked the Bible study that was included. I did not realize that pine trees were specifically mentioned so many times in the Bible. The students are asked to look up several scriptures and note the mention and what the tree was used for. It was an interesting look into God’s word. It would have been great for the scriptures used to be included in the pages to print, though it wasn’t hard for the girls to just look it up on their Bible app. There is also a unit study on snow that we will be using before too long. 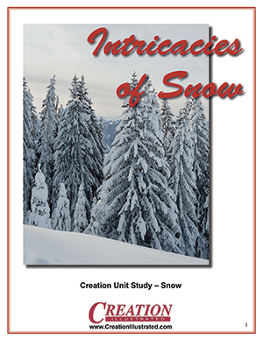 It corresponds to an article on pages 19-22 in the Winter ’18 Digital Edition titled “The Intricacies of Snow.” The activities in this unit study are much the same as those in the study of pine tree, though, of course, related to snow. I can’t wait to see my girls complete the art activity where they draw the different snow crystal shapes. The Bible study will have them looking at the references to snow in the Bible and evaluating their favorite verse. The creative writing activity will correspond to fun in the snow. There is much more there, too. The unit studies created by Creation Illustrated are such fun and they have more than just these two. There are studies on bears, manatees, fragrance, badgers, dragonflies, and the Joshua tree. They are aimed primarily at grades 5 – 8, though they can easily be used in grades 3 – 8. The studies are mostly independent for grades 5-8 but there is much that will be interesting and beneficial for the 3rd – 4th graders. These studies are downloads and are able to be used for multiple students – always a bonus! I have really enjoyed getting to know Creation Illustrated better and am pleased to be able to share this company with you. I look forward to seeing more from them. Their newest edition, the Spring 2018 edition, is on the presses now and will soon be out. The corresponding unit study will be on butterflies and should be available on the website soon. The Homeschool Review Crew had many families using these unit studies. To find out how they enjoyed them, please click on the banner below. One of the things I have been noticing as my girls get older is that there just don’t seem to be as many resources shared for older students. It is not that they aren’t out there but it does seem that those in existence are being sold only. Sure there may be a single activity shared for free to encourage you to purchase the whole set but sharing an entire study for older students just doesn’t seem to be done often. In addition, I know that many older students are so involved in their courses of study, trying to meet hours or course credit requirements, that “other” things just get left out. As a hope to fill a piece of this hole, I am sharing what I have put together with anyone who is interested. Use some of it. Use all of it. Use none of it. It is all up to you but here it is. No charge. Happy Winter Olympics!! Click on the title below for the download. Linking up with the Homeschool Review Crew weekly link-up. Home School in the Woods, a fantastic hands-on history company, has begun offering a new type of product – a-la-carte projects from their history packs. HSITW has an offer right now (don’t know how long the offer is good) for a project on the Erie Canal that looks simple and fun. So, I sat down and printed it out and put it together so I could show it to the girls. I had not idea just how much hands-on history would happen with that little project. Miss J, age 8, was terribly interested. So we talked about the project, looking at the map, discussing the information inside of it, and how it would have been used. I also sang her the Erie Canal song that I knew. That settled it – more information was needed so she asked about whether we could find pictures or videos of the canals and locks. We started out on A Net In Time, looking at the pictures of the field trip they took to Welland Canal. Homeschool Coffee Break has a field trip discussion about visiting the C&O Canal, as well as a link to an earlier discussion about canals. The Erie Canal page has animated drawings of locks in use. So, with just a simple hands-on project from Home School In The Woods, we expanded our learning across continents and waterways, using maps, music, history, commerce, and more. Not bad for a Friday afternoon in the summer.